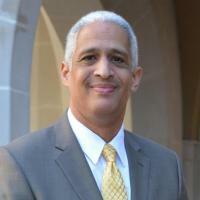 Edward D Gomes Jr. is currently the senior associate dean for Trinity College of Arts & Sciences Office of Technology Services (TTS). Gomes oversees information technology planning, services, resource allocation and integration for 80+ departments, programs and institutes. He also chairs or serves on numerous campus and regional planning committees related to academic technology, technology support and space planning. Gomes chaired Duke’s eLearning Roadmap Committee which let to the transition from Blackboard to Sakai and currently serves on Duke’s Sakai governance steering committee. He served as project manager for the Link Teaching and Learning Center, which opened in lower level one of Perkins Library in 2008. He also currently serves as a member of the Project Kaleidoscope (PKAL) Learning Spaces Collaboratory Advisory Committee. Zhang, J; Gomes, ED; Morris, KG; Moredock, J; Cobb, FR, Preferential nitroglycerin tolerance in the resistance coronary vasculature, Circulation, vol. 94 no. 8 (October, 1996), pp. 96-96 [Gateway.cgi] . ZHANG, J; GOMES, E; SOMERS, M; COBB, FR, VASOMOTOR MECHANISMS OF ADENOSINE ON CORONARY CONDUCTANCE AND BLOOD-FLOW REGULATING VASCULATURE, Faseb Journal, vol. 9 no. 4 (March, 1995), pp. A909-A909 [Gateway.cgi] . COBB, FR; BOWEN, P; GOMES, E; ZHANG, J, EFFECTS OF POTASSIUM CHANNEL STIMULATION AND INHIBITION ON CORONARY REACTIVE HYPEREMIC RESPONSES TO SHORT AND LONG INTERVALS OF MYOCARDIAL-ISCHEMIA, Faseb Journal, vol. 9 no. 4 (March, 1995), pp. A911-A911 [Gateway.cgi] . Hoke, JA; Burkes, EJ; Gomes, ED; Hooper, BA; Wolbarsht, ML, The effect of free electron laser exposure on tooth structure, Lasers in the Life Sciences, vol. 6 no. 4 (January, 1995), pp. 251-257 . ZHANG, J; GOMES, E; BOWEN, P; COBB, FR, K+ CHANNEL STIMULATION POTENTIATES THE REACTIVE HYPEREMIA RESPONSE TO LONG BUT NOT SHORT PERIODS OF MYOCARDIAL-ISCHEMIA IN AWAKE ANIMALS, Faseb Journal, vol. 8 no. 4 (March, 1994), pp. A292-A292 [Gateway.cgi] .